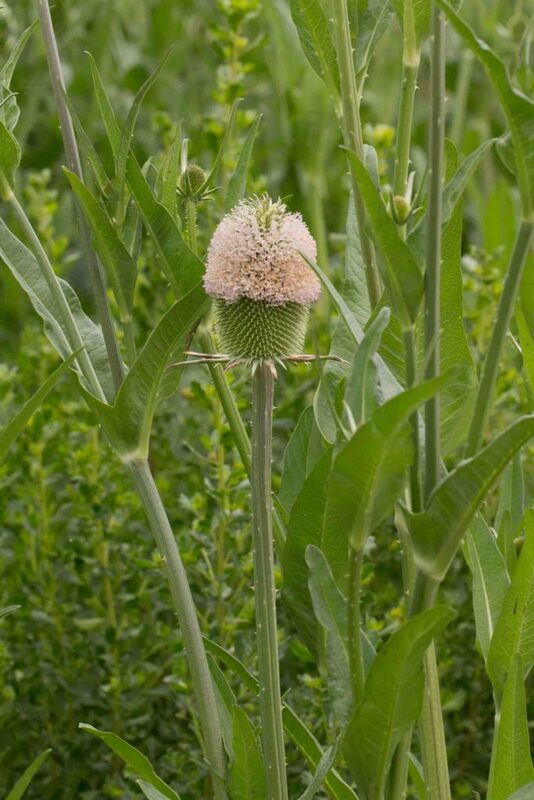 An invasive European native, this has prickly stems and an ovoid inflorescence of lavender to pinkish-white flowers, subtended by a whorl of spreading to upward curving spiny bracts. 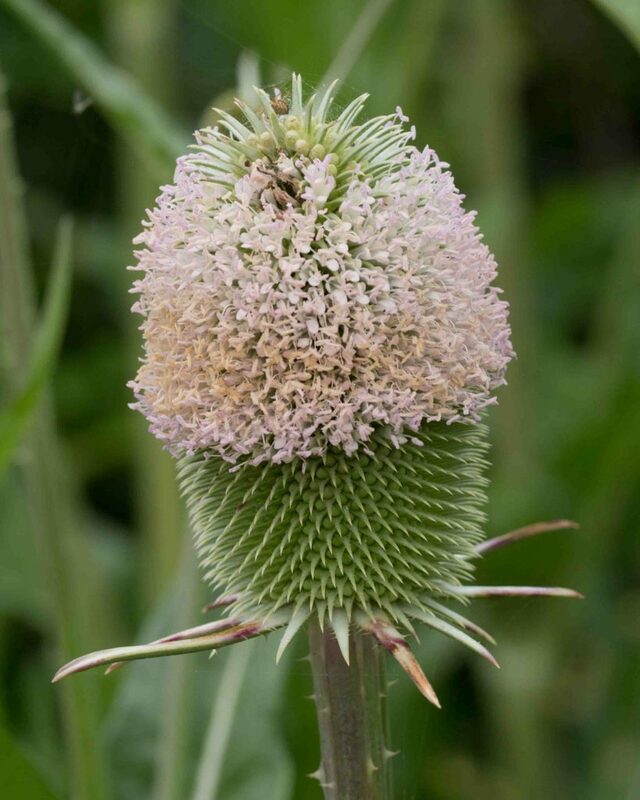 Similar to Wild Teasel (Dipsacus fullonum) but can be distinguished by its bracts which are spreading and upcurved, ending in a recurved, stiff spine rather than a straight, more or less flexible spine. 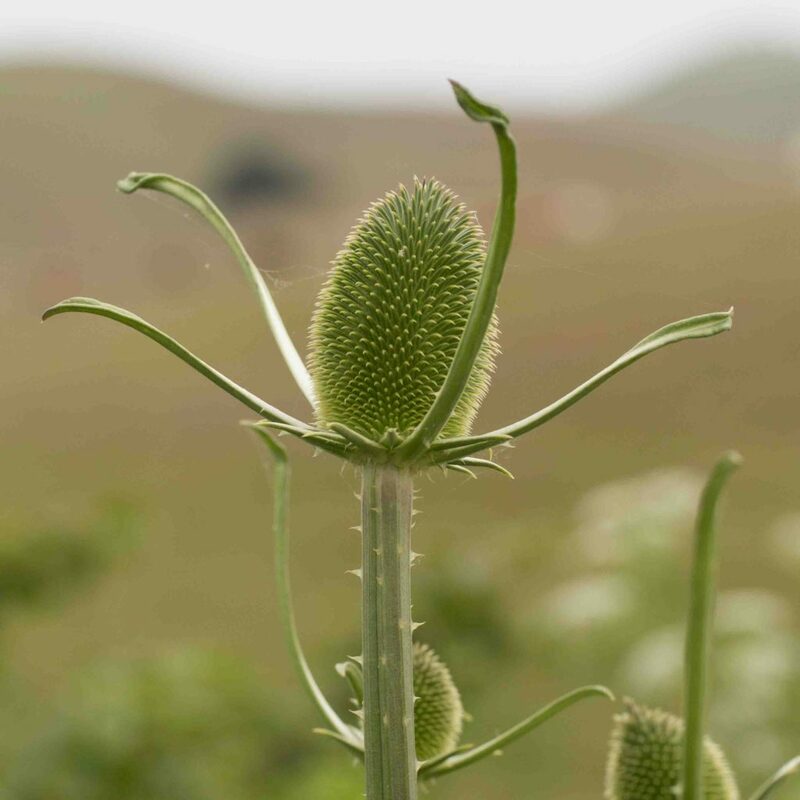 It can also be distinguished by its leaves which are completely or broadly, as opposed to narrowly, fused around the stem at their base. 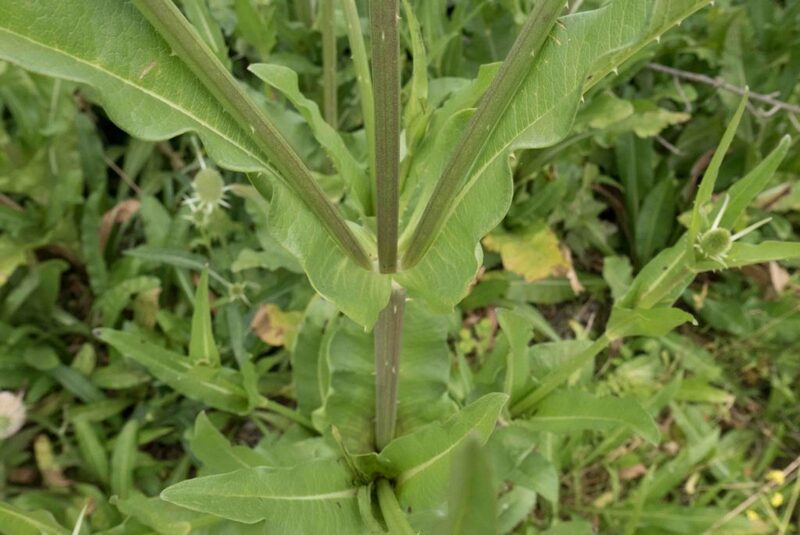 Leaves are lanceolate with a row of small spines on the undersides along the midrib.